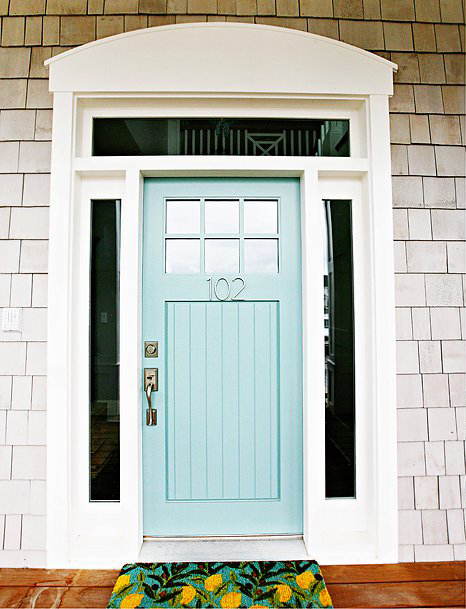 Don’t you love the character of a beautifully painted front door? I have a mirror I painted the starry night blue. I love it. . This color does have a lot of purple undertones so just be aware of that if you decide to use it. So pretty! 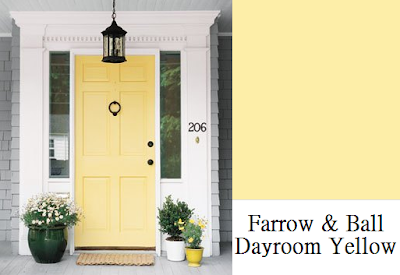 Click here to see more of Maria’s Ten Best Front Door Colors. Can you tell I love blue? Which is your favorite? Just be sure to test your samples as if you were painting an inside room in your home! Be sure the color works with your existing exterior colors and your hardscaping. Look at the color in the harsh sunlight as well as at night to be sure you love before you paint! This mirror is probably over ten years old that I had picked up from Bombay. I loved the size, shape and color but it is really heavy! My hubby said he will not hang it. 🙁 I could only find somewhere to lean it. It just sat it up there on my dresser because I did not want to just get rid of it because it looked outdated. It just needed a little love and paint. So Antibes project here we go! You could always add more dark wax if needed. After I finished waxing with my mix, I took just a small dab of the dark wax and wiped it on here and there for darker highlights. Wait to dry a few hours, then it is ready to buff! I just used an old t-shirt and shined it up. What do you think? It actually looks slightly darker than the photo shows. I love painting projects. Especially when they do not cost anything! Have you painted anything interesting lately? Beautiful. Natural. Modern. I have always been one of Candice Olson’s biggest design fans! I love her style and use of color. When Candace came out with her list of her five “Go To” Benjamin Moore colors, I could not wait to check them out. As soon as I found them, I pinned them to my pinterest color board. And there they sat! Then I heard someone comment on the colors yesterday and I realized I have not even taken a good look at them yet! Have you? You can tell by her designs that she loves working with natural materials in her designs such as wood, stone, linen and wool. A lot of the colors that she uses come from items that you see in nature. Her color list was chosen around colors such as stormy skies and misty, watery greens. All of these color choices are from Benjamin Moore. Nimbus Gray, a cool gray-blue which reminds Candace of stormy skies that can be used as dramatic color or serene. Gray Mirage- 2142-50, a serene misty gray-green that Candace loves. Works well with many different colors. This color looks beautiful with your wood floors and trim. Pale oak OC-20 is a beautiful natural beige color, that Candace likes to use with natural stone such as limestone and travertine. Pale oak is a very light neutral with a slight blush (pink/red) undertone. And last but not least- Cloud White OC-130. 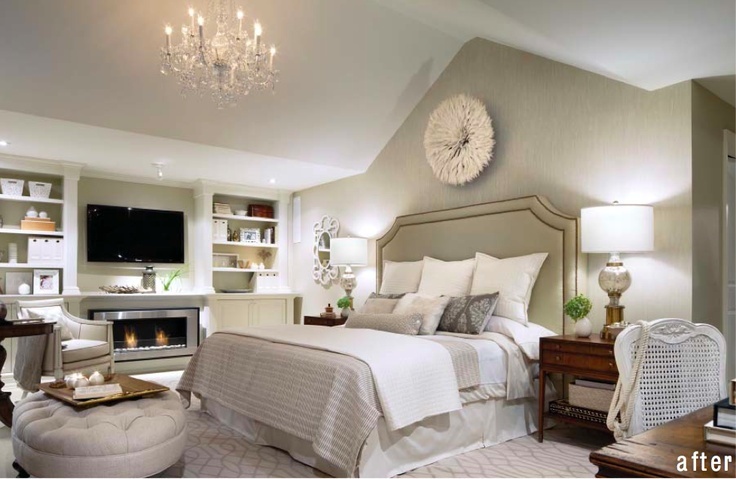 Ms. Olson did comment on how she loved to work with Niveous for the walls with Cloud White on the ceiling and trim. I tried to find photos of her rooms that the color name was listed to share but I could not find any. Aren’t all these rooms so gorgeous? I think I will take a closer look at her neutrals and maybe consider using them on my next project. What do you think of her go-to colors? Do you use any of them regularly (beside cloud white)? But the price tag was way more than I wanted to spend on a mirror ($349.00). I noticed a starburst mirror on Pinterest that was really pretty and it was a do-it-yourself project. I love making things but I never want it to look like it was a DIY project. I thought this mirror from K Sarah Designs was really pretty and it sounded easy even for me! I followed her directions with a few changes in materials and directions. * Thin plywood sheet for the backing. I used a 12” x 12” sheet from Michaels. First, figure out how you want to lay the shims. I followed Kristen’s advice and went with groupings of 9 for the 12” shims and grouping of 7 for the 8” shims. I laid out a pattern I liked then started gluing them to each other and to the plywood backing. You may need to add in an individual shim here or there if all the ray groupings don’t complete an entire starburst or you need to fill in a little space. I really love the way it came out! The entire project was under $35.00 and only took a few hours to complete (plus drying time). It was fun too! Do you like making projects? It is not perfect but that’s why I love it more. Not bad for the first mirror I made! Update: I made another mirror here in blue if you would like to see. If you need creative ideas in decorating for your home, contact me today! Linking over at Serenity Now! Pink Is A Big Girl’s Color! Remember a little while back when I wrote about finding a new color for my office here? I loved all the office photos from Pinterest that show the rooms in pretty light blues and greens. I decided Ben Moore Palladian Blue was my color choice until someone from California paints contacted me and asked if I would like to do a color project together! Thank you Andrea for your inspiration and helping me think out of my blue box. I love all of your color choices and how you brought your traditional décor into the mix to make it a colorful, inviting home with lots of depth and character! Just gorgeous my friend!! This weekend I am going to follow my own advice and paint a poster board in the color Art Deco to see how it will look in my new office. I will let you know how I make out! Have you thought of using pink in any of your rooms? Don’t you just love Andrea’s home?! If you need help choosing colors for your home contact me today.